You are here: Home › Car Buying › When is the Best Time to Buy a New Car? Friends, family and new acquaintances are always asking when is the best time to buy a new car. They know that I have spent many years in the car business and they want to gain any advantage that they can before they make their new car purchase. Many people believe that the end of the year is the best time to buy a new car. But what do you do if you need a car in the middle of the year or the beginning of the year. 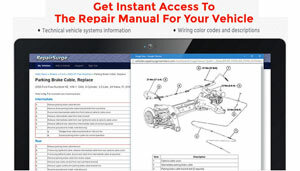 Read on and you will soon discover that there are many times throughout the year that are great for buying a new car. There are several factors that contribute to optimum time for new car buying. Such as manufacturer incentives, make and model demand and dealerships sales goals. Everyone in the car dealership’s sales department from the car salesperson up to the General Sales Manager is paid according to sales profit and volume. Therefore the best time to buy a new car is every month. However there are a few exceptions such as a new model, trim level or redesigned model that is high demand. 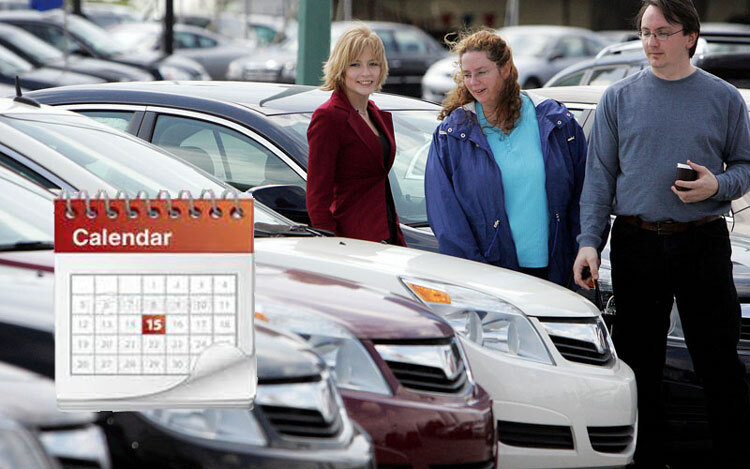 Dealership Month End: Every car dealership operates their business on a monthly schedule. They close the books each month and prepare financial statements. The sales, profit and volume numbers determine the monthly pay and bonuses of every car salesman, sales manager, used car manager and General sales manager. A few more cars sold at the end of the month can bump all of these employees into a higher bonus level. In some cases this could mean hundreds or even thousands of dollars of bonus pay. Plus there may also be manufacturer sales goals, bonuses or dealer requirements consisting of sales volume targets. So you can see how the sales staff is motivated to move a couple more cars even if they have to sell a few cars with little or no profit. Therefore this can be the best time to buy a new car. Redesigned Vehicle Models: When a manufacturer redesigns a particular model car they want to deplete the inventory that is remaining at their dealerships. The old style will often be greatly reduced in priced by the manufacturer through the use incentives. I will cover manufacturer incentives in the next section. Additionally the dealerships will also want to sell off their inventory to not only make room for the new models, but to rid the lot of any aged inventory. Aged inventory incurs floor-planning costs, which eat into profitability of the dealership. When you hear of a new redesigned model coming out you can rest assured that this the best time to buy a new car. That is if you are interested in the current model. Manufacturer Retail Incentives: Most automakers have incentives to stimulate new car sales. These incentives come in the form of rebates, low rate financing, dealer cash and reduced lease rates. Most incentives change monthly and they typically target makes and models that are stale or sluggish sellers. These incentives will help the dealership turn inventory and reduce floor-planning costs. These manufacturer incentives are also used to spur sales and help the manufacturer gain market share. If a certain automaker is losing market share it’s very common to see them place rebates, low rate financing and lease specials on certain models. Depending on the car you would like to purchase and available manufacturer incentive that can be the best time to buy a new car. Incentives and their availability go back to the law of supply and demand. When inventory is up the price goes down and if inventory is low incentives go away. Annual Model Change: Every year the New Year models come out and depending on the automaker that is usually around September for most brands like Ford, Chevrolet and Toyota. But some brands like Bentley and Lamborghini follow their own rules. Sometimes this can be as early as June or July and as late as December. Regardless of the exact time when new models start hitting the dealership showrooms the previous model year will be marked down and ripe to be the best time to buy a new car. The dealers will do their best to sell you the old model until they are gone if even they make little profit. In fact, I even seen dealers sell a new car at a loss to move inventory and achieve sales volume goals. Year End: The auto industry operates on a calendar year basis, in other words from January to December. The industry reports sales and market share monthly and then at the end of the calendar year. See Month End above which is practically the same because sales volume targets and sales bonuses. The end of the calendar year is a great reason to have a Big Sale, but in truth the automakers, the dealerships and the sales staff will jump through hoops to sell a couple more cars whether it’s the end of the month or the end of the year. The difference in in the manufacturer incentives. If market share is at risk you can bet that the automaker will offer or sweeten the retail incentives to make it the best time to buy a new car. When is it Not the Best Time to Buy a New Car? The auto industry has sales every month. Whether it’s a Model Year Clearance Sale, Year End Closeout, Tent Sale or a Giant Inflatable Gorilla Sale; it’s all about the marketing. Car dealers pay the same for cars no matter what. They may receive incentives from the manufacturer but the dealer invoice price doesn’t change. If you do your research and gather several new car price quotes you can get a good deal any time of year. However the automaker incentives are real they change regularly. If you can couple manufacturer incentives, with your research, brochures and price quotes you can make your own best time to buy a new car.